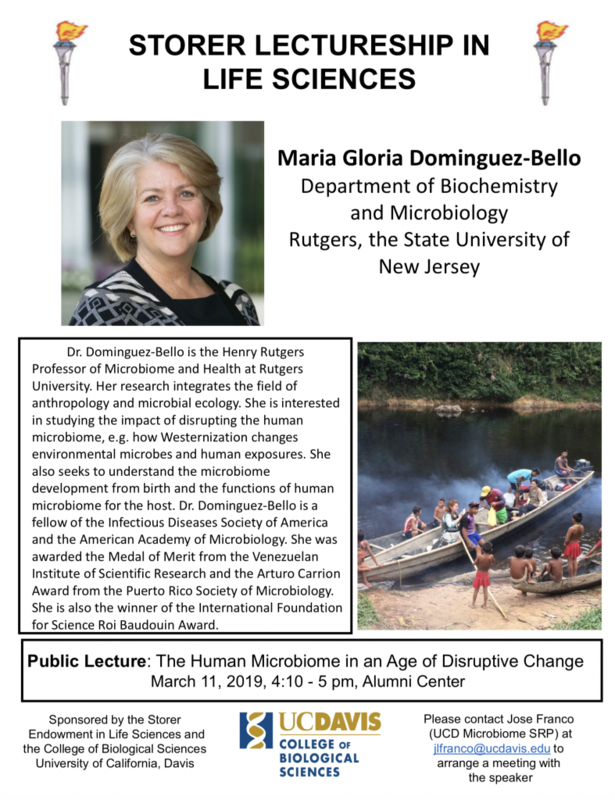 Maria Gloria Dominguez-Bello gave a talk at UC Davis on March 11, 2019. This talk was part of the Storer Lectureship in Life Sciences series. Her talk was on “The Human Microbiome in an Age of Disruptive Change” and it was really quite good. I live Tweeted the talk and if you are interested the 1st Tweet is embedded below and if you click on it all the other Tweets were kept in the same thread.